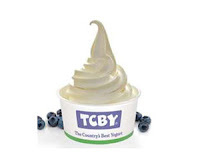 411 Freebies And More: Free Frozen Yogurt at TCBY for Dad on Father's Day!! Free Frozen Yogurt at TCBY for Dad on Father's Day!! TCBY is celebrating Father's Day by offering dad a FREE TCBY frozen yogurt on June 17th. Just visit your local TCBY to score your free frozen yogurt on Father's Day! Use the linked page for more details.